Sainsbury’s Greenwich food store will move 400 metres to a new plot within the Charlton retail parks if plans are approved. This Sainsbury’s, its flagship store, was opened in September 1999 by Jamie Oliver. It was billed as the supermarket for the new millennium. Last year it was visited by President Zuma of South Africa and was also winner of the an RIBA Sustainability Award in 2000. 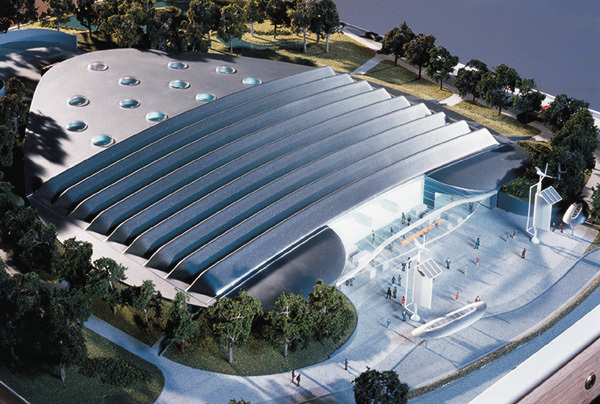 A host of energy saving features were incorporated into its design such as solar panels, wind turbines, large windows for natural light, insulating earth banks and electric car charging points. Ironically one of its greatest technological advances is believed to be its downfall. A large underfloor radiator heats the store using waste heat from its own refrigerators. But this technology is said to have caused problems with flooding and has led to the store being closed on numerous occasions. The land where the Sainsbury’s is currently located is now owned by retail developers LXB Properties. As well as owning the land for the proposed new site they are also behind the building of the new Travelodge which is due to be completed next year. Plans to move the store to Charlton were released to the stock exchange in May and further details were given at a meeting with local residents last week. The plot of land earmarked for Sainsbury’s (see picture below) is where Wickes and Dreams are currently situated. The former will be relocated at the old Lidl site and the latter will move further along the road into the Stone Lake Retail Park. The new Sainsbury’s will be three times the size of the current store and will also be the centre of its online operations in the area, providing a base for home deliveries. It’s hoped the increased size will allow the store to develop and sell more of its non-food items. Planning approval is due to be sought from Greenwich Council later this year with an opening date pencilled in for 2013. Other plans include a creche for parents to use while shopping as well as a bus countdown screen at the store’s checkouts. This announcement may leave some regular shoppers astonished at the move. However, the flooding at the current store and the increased footfall over at Charlton’s retail parks must be the two key reasons for the relocation. Despite this there are numerous interesting questions this issue raises. What will the new Tesco in Woolwich make of this development? How will traffic alter in Bugsby’s Way and Woolwich Road over the coming years? How will public transport develop, with Charlton station now close to yet another large amenity? Will Sainsburys learn from the mistakes they have made with the peninsula site? What will happen with the plot of land south of this site linking it to Woolwich Road? 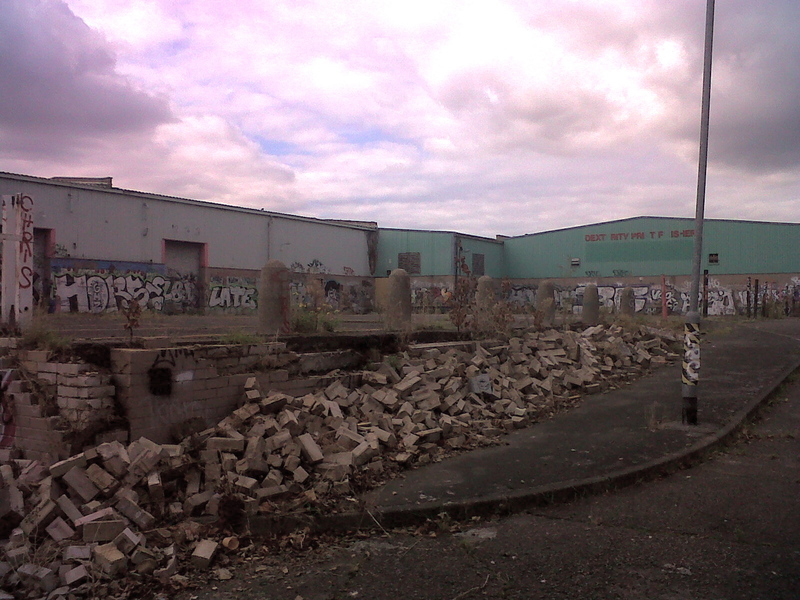 What will happen to the small ecology park to the rear of its current site? What retailer would want to move into the empty peninsula building and how will they deal with the store’s capacity to flood? No doubt all these issues will need to be addressed but one certainty is this development, if given planning permission, will have to take centre stage with the council’s long term plans for Charlton riverside. Previous Article Dirty windows and smelly bins – who can help? Three times the size of the current one? It will be chaotic around there – the lower road traffic and Bugsbys Way is bad enough as it is now. Indeed, there’s always traffic round there, and what happens to the current site? That’s quite an old blog though. The store has had doors on all the freezers for some time and ona lot of the fridges. There are also car charging points. The article above also quotes various other energy saving features of the store that are in place, so it certainly seems ‘greener’ than most other stores in the area. Would explain why it’s always freezing cold in there. Let’s just hope that there will be some properly thought out proposals for coping with the increase in road traffic around the vicinity of the new site, as it is bad enough now. Also I hope that Sainsburys will be unselfish enough to allow easy pedestrian access between their new store and the Asda et al retail park. I wonder what will happen to the ecology park to the rear of the current Sainsburys; hopefully it will remain cared for in the future. If the problems of flooding to the floor of the current building cannot be resolved, maybe someone should freeze the water and convert it into an ice rink?!! Thank you to Matt, the author of the article, for a comprehensive and informative report with useful links. Thanks Laurelle, great idea about the ice rink. Perhaps a garden centre could be another option. “…a bus countdown screen at the store’s checkouts.” So you can be absolutely certain – and not just sneakingly suspicious – that the person-in-front faffing, trying to find their wallet WHEN THEY HAD ALL THE TIME THEY WERE QUEUEING TO DO SO, has caused you to miss your bus. Yes, thanks very much for this Matt. Obviously a lot of thought is going to have to go into the traffic that this store will create. Forget all this cobblers about shoppers getting the train, bus or walking — 90 percent or more of people will use their motor to visit this store. Just look at the volume of motors in the current Sainsbury car park. And the new one is going to be three times bigger and be a base for home deliveries? Blimey. I’m not saying there will be three times more traffic, but it will be more than the current Sainsbury surely. The right turn from Woolwich Road into Gallions Road is already busy just from the traffic coming down Charlton Church Lane that is unable to go straight across at the lights. That will have to change for a start. Traffic leaving Sainsbury that turns left will immediately be confronted by the lights taking traffic into the Asda retail park. Something will have to change there. Also, to get off the peninsular, the traffic at the junction by the flyover where the current Sainsbury is already totally ballsed up and it will not take any extra flow. These are just thoughts off the top of my head. I’m sure there are other, more complex, ramifications to all this. I’ve been told that the petrol station will actually stay where it is. It’s well used being near the Blackwall Tunnel approach, so it does seem like a sensible decision. I don’t believe they have plans to include the Starbucks, however, there will be something similar located where the security hut is opposite Sports Direct. I would like to see Waitrose take over the current site. I would love Waitrose to take over the site. I would consider not leaving Greenwich Peninsual if this happened! I hope the 108 will go to the new place, I’d rather not have to change buses. Before its route change a couple of years ago I didn’t bother much with that area as it was such an uphill struggle as a pedestrian to get across the roads from the Westcombe Park side of things to the North Greenwich side. If this is Sainsbury’s “Green” flagship, how can they justify throwing away all that energy and materials after a little over ten years, and then building another. Should not they be building other environmentally friendly stores elsewhere rather than scrapping their best. Sainsbury’s Peninsular staff say that the building will remain and that the rumour is that Matelan will take it over. The building’s embodied energy will not be lost. They also say that it will not be leased on to another supermarket. Another reason for the move is that the current site is too small to allow for the sale of a more complete Sainsburys range: their Mile End Road branch includes clothing. Also, they want to make use of more natural sunlight. Down where i come from in the small town of Ottery St Mary, Devon. there was a battle between Tesco and Sainsburys as to who was going to build a super store in our quaint parish. Sainsburys eventually won due to their eco plans, promising to use a number of different eco-friendly systems in their new build. A year later and the building is complete. But whats this? its just a normal plain old power wasting Sainsburys. Not only that, but it is twice the size as first given permission for and they had knocked down a grade two listed building and wall to make more space for their delivery lorry’s which now trundle down our narrow roads destroying the tarmac. I can only imagine that after planning permission was granted they set to work giving backhanders to all the right people to have it how they wanted. Of course an eco-friendly building is costly to build and all that new technology takes up a lot of space, space that is needed to offer 10 different types of baked beans on the shelves. i counted the different types of cola on sale in this store. 24, yes twenty four different kinds of cola, but what is i want lemonade? People were not happy with these lies. some even refused to shop there, but as times goes on and all the local shops are put out of business it seems we have no choice, and all those council members with a nice cheque signed in orange pen in their back pocket were happy to jump to the companies defense as to why the shops plans had changed so much, yet again capitalism is above the law and has come out on top. This is my story, take from it what you will, but at least we can save a fiver on our weekly shop and get avacardos all year round now. I think it’s about time for the second round of consultation, so how about rampant retail development, property speculation and stretching local amenities versus affordable housing, public play space and access to the river? The aggregates and wharfs areas provide wharfs to deliver aggregates. What do you suggest we build communities with? Horse manure and bus tickets? Since we’re pinging back to Andrew Lainton’s blog, could we have a little balance, please? I am so disappointed. There is absolutely no need for another ‘flagship’ supermarket in Greenwich. I had heard that the site was earmarked for IKEA – a much better use of the land, as far as I am concerned! Can you imagine the chaos when Charlton is playing? Bad enough as it is with traffic and mounted police. Ikea were sniffing around in the late 90s/early 00s, I understand. Why would you prefer a retail barn to a “high street” development, Patsy? Not unlikely that a certain home furnishing store is still looking at the area. Given enough momentum at HQ they will go for it, realistically speaking there won’t be much anyone or the council can do to stop this. Instead it might best to pre-empt a planning application by giving thought to a realistic list of protected i.e. not just ring fenced by the council for future general spending “planning gains”, paid for via their 106 and 278 contributions, perhaps such as the creation of protected green spaces and safe pedestrian routes linking the “occupied” part of Charlton to the riverside, traffic improvements (considerable – if you imagine the area’s traffic now, imagine it with a bigger Sainsburys and this combined), anti-pollution measures, social improvements such as primary schools, crèche facilities, playgrounds, sponsored college courses/university bursaries for local students, protected contributions towards street cleaning and parking controls in neighbouring streets, etc. Whilst they didn’t get where they are by giving their cash away, if their application is met with a well considered list of what could become legally enforced planning conditions then perhaps the impact can be offset in some small way. If there’s a local residents group that can lobby the head of development and planning at Greenwich then my suggestion would be that that is a process best started sooner rather than later. Charlton is a great area but I would hate to see it blighted by a perpetual traffic gridlock, a giant shed and multi storey car parks when it’s the river that should be the real backdrop in this particular location. 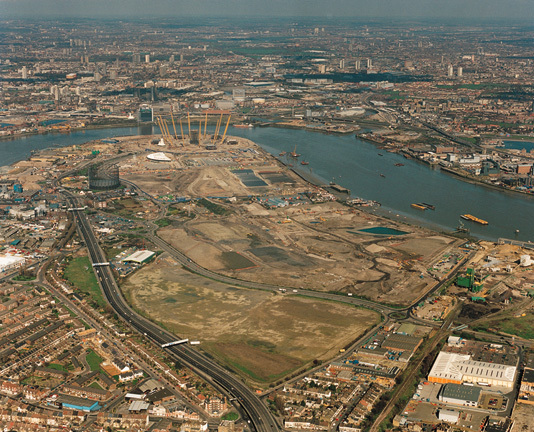 Public exhibition at Sherard Hall, The Forum 09/11/2013 12pm – 7pm re IKEA’s proposals for a new store on Greenwich Peninsula. All new development and regeneration areas need improvemens tot public transport. It is a pity the Greenwich Waterfront Transit System got cancelled as this could have served the new Stores on Charlton Bugsby Way and Greenwich Peninsula. Hoping extra bus routes will serve the New Stores once opened.